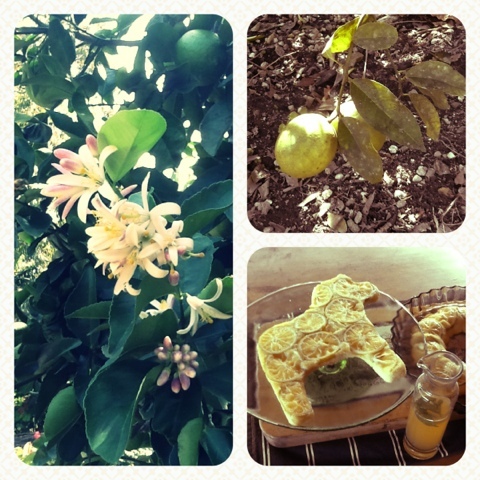 I made this cute cake with lemons from the myer lemon tree. It looks pretty but it tasted so sour we all pulled frog in a drain pipe faces eating it. So, like, I totally should have caramelised the lemon slices first. Cake fail. Hahaha! That's so funny - and what a shame, because the cake looks so beautiful! I once made am omelet that looked fab... smelt great... and tasted absolutely foul because i'd somehow grated in the plastic rind from the goats cheese to the mix. Yuck!